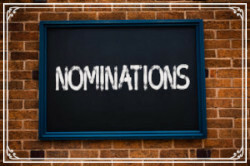 SDHIMA is actively looking for the next 2019 Board Members! Being involved with SDHIMA is an excellent opportunity for networking, traveling, advocacy, and making a difference in the Health Information Management Industry! For detailed descriptions of the open board positions, please click here. Contact Julie Cook at Julie.Cook@avera.org if interested in being included on the ballot or additional information. Please consider taking your career to the next level!